There are a couple of blogs that I love to read that take an opportunity each month to showcase 5 things they have got recently for under £5. As I read them they really make me smile… I just love to see others too be excited for little bargains that crop up in life and then I realised how much this barganeous way of thinking was right up my street, so this week (and once a month here after) I will be joining them and showing off what lovely delights I have picked up for under a fiver each too! So without further ado here are mine. 1. 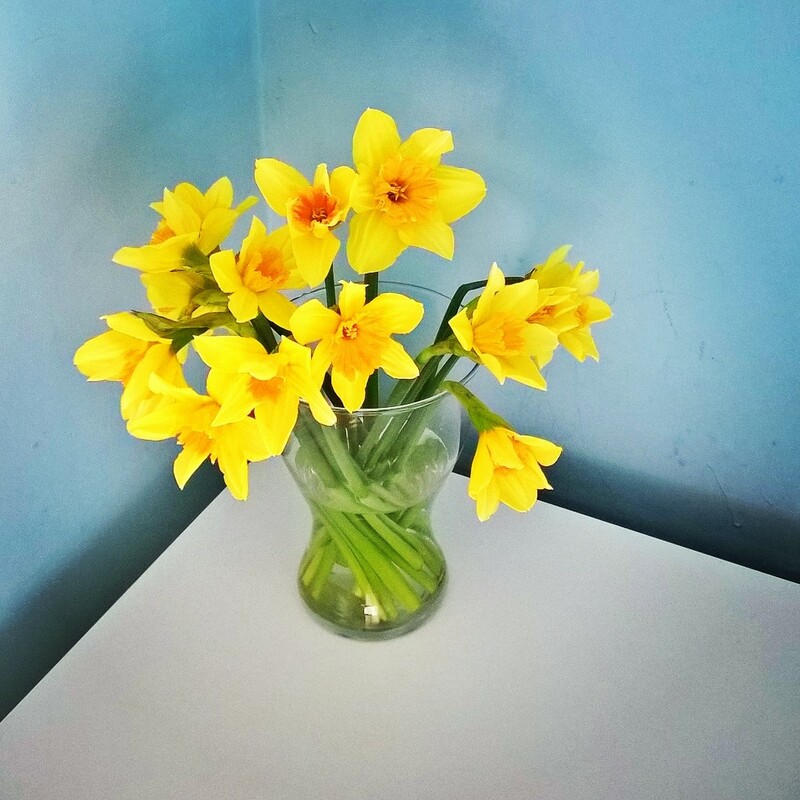 Some Daffodils – I am really fond of fresh flowers in the home, they brighten it and lifet my mood. I like especially if they carry the added bonus of being seasonal, so when in Morrisons the other day grabbing a few forgotten extras (you know how it is) I spotted a lonely bunch in a bucket for just £1…Fresh, spring, yellowy daffs for £1…and by the next morning they had all opened up to greet us. Happiness in a vase! 2. A pair of Nike trainers for Megsie – Megs is very active and also loves her weekly street dance class and so a pair of trainers are an essential in her wardrobe, however she grows so fast and now at 3.5 years old she is already in a size 10 and so was in need of a new pair. As soon as I saw these in the charity shop for £2.50 we had to have them and I couldn’t believe my luck! 3. 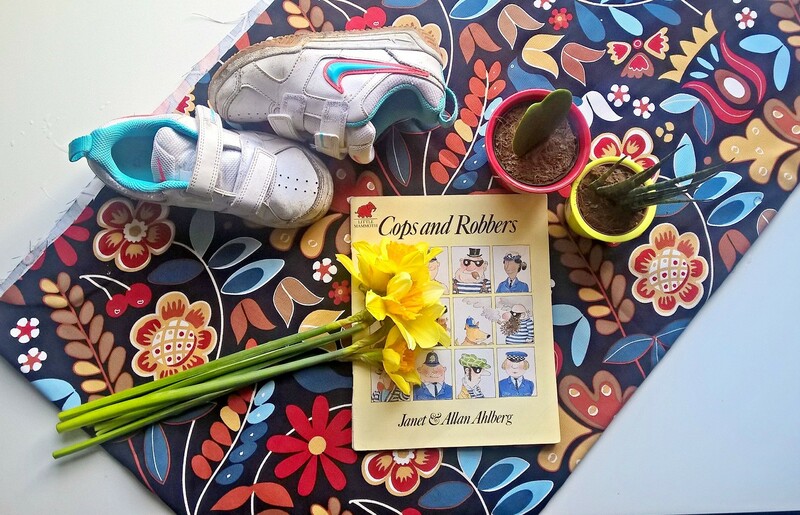 Cops and Robbers book – This is one of my old time faves from primary school, I don’t know why, but I just love it. I snapped it up last month in a charity shop also for just 49p and it has quickly become popular with the kids at bedtime too…Happy days! So there are my choices for this month that sum up my bargainous lifestyle in pursuit to make my home and kids a little more lovely as we head into spring! Previous Post Mothers Day – You Remind Me! I love cops and robbers, great charity shop find! You can´t go wrong with Ikea, right 😉 I bought a cactus there as well. The heart shaped cactus is so cute. 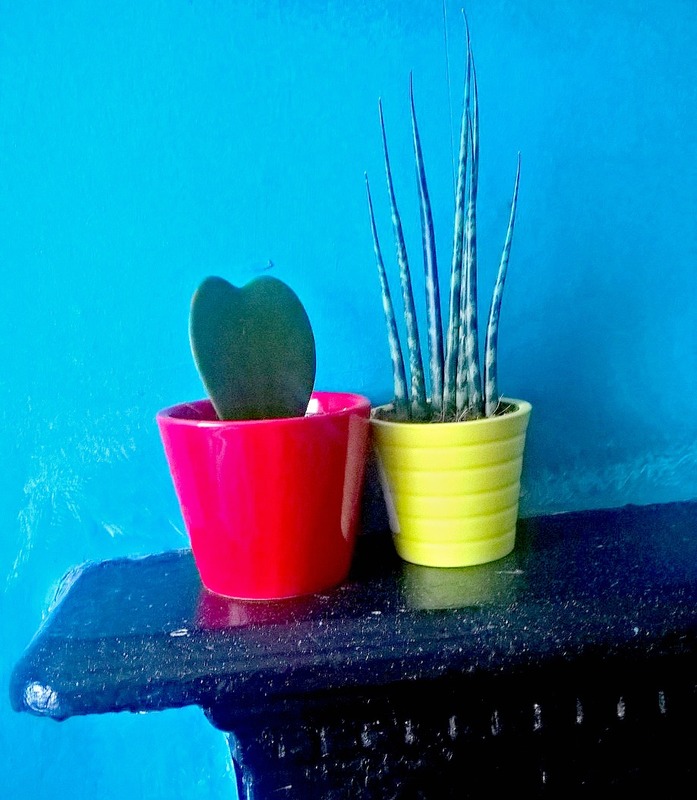 I’m not good with indoor plants but perhaps a cactus is the way forward! 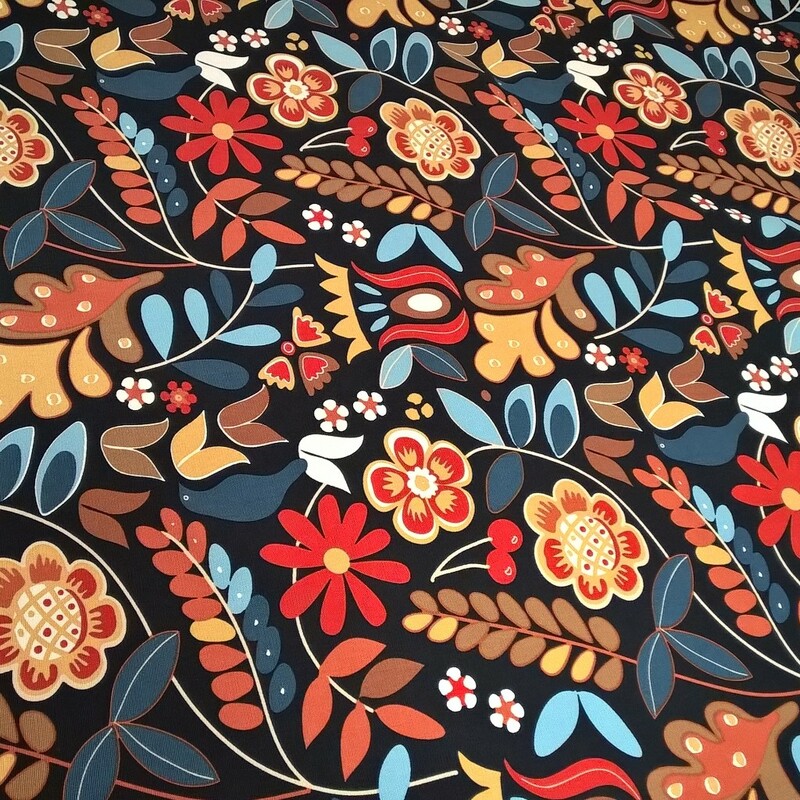 I love the fabric you found and think it would look great as curtains. The trainers are a real find, what a bargain! Even the ones I mention in my blog post were £11.99. A good alternative when you are not so lucky in the charity shop?